Florence Nightingale was the founder of modern nursing, a celebrated social reformer and also a statistician. During the time of the Crimean War, Florence played the role of manager of nurses. During the war, Florence was fondly nicknamed “The Lady With the Lamp”. It is then that she was brought to light. Florence Nightingale’s quotes made a profound impact on the general public. Her sayings and adages were motivating and encouraging. Florence’s biography is an excellent read and is sold in large numbers even today. Several nurses refer to her book Notes on Nursing even today. 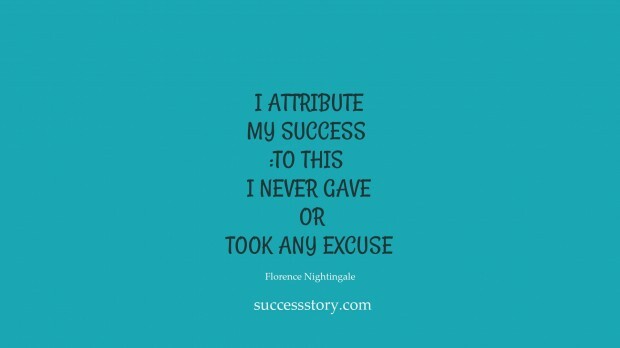 "I attribute my success to this - I never gave or took any excuse"